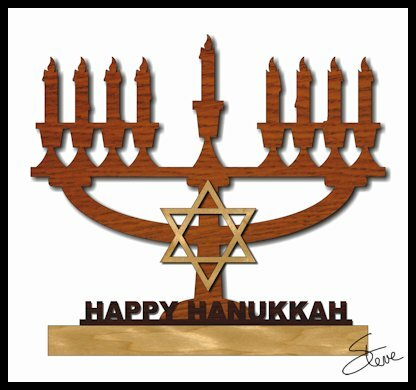 Happy Hanukkah Menorah Scroll Saw Pattern. 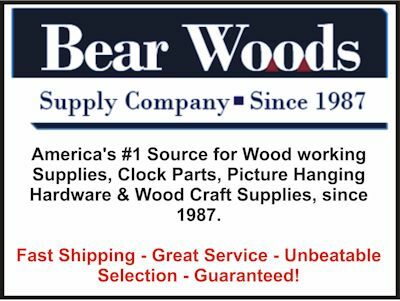 Another Bear Woods $75 Gift Certificate Giveaway. 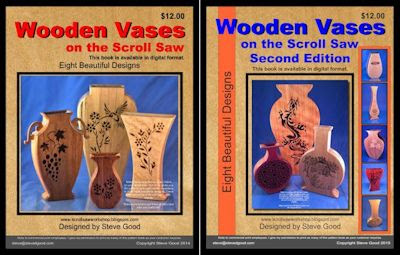 Free update to the $3 PDF catalog. This Menorah pattern is large enough to sit on a mantle or as a centerpiece. I wish my knowledge of other faiths was greater so I could be more inclusive. I am happy to take suggestions. I may not be able to get to all of them but I'll do the ones I can. 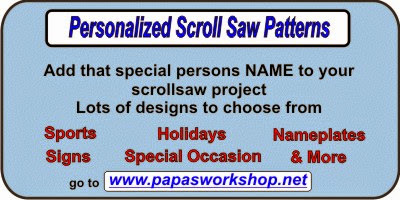 Still plenty of time to order your Custom Name Christmas Scroll Saw Patterns. Version 5 free update of the $3 PDF catalog is ready for download. Remember that you can access the update page from the current software. Open the PatternDownloader from your PC and click the link located at the red arrow in the picture above. If you are using the MAC or other OS version you can get to the free update page from the online viewer page you should have bookmarked. 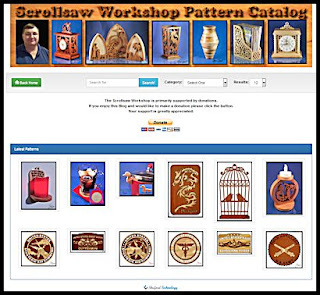 Please watch the video on the purchase page so you understand what you are buying. Are you considering an update to your current scroll saw? 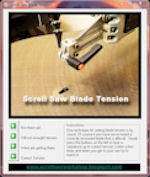 Maybe you are buying your first machine and want to get a saw that has great specs and first class fit and finish. 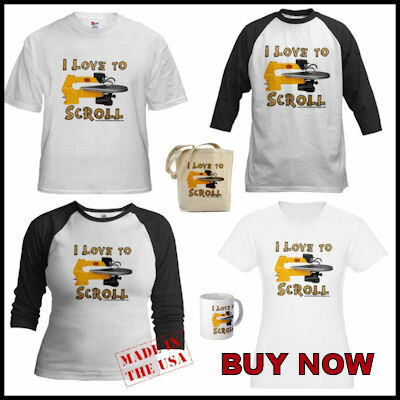 Want to buy your spouse that perfect Christmas gift? 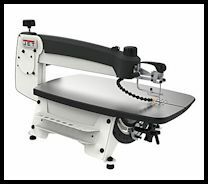 I can recommend the new Jet 22" variable speed scroll saw. 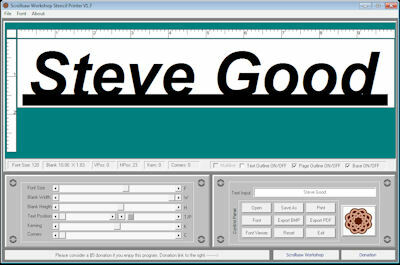 I have been using the machine for several projects now and I am liking it even more as I use it more. The new clamp system is really growing on me. It just works the way I want and saves time. I bought my Jet from www.seyco.com. I want to be upfront. They are a sponsor of the blog. They are also a great business with wonderful people in charge. I will not work with a sponsor unless I am convinced they are first rate. Trust me when I say that none of the sponsorship I receive is enough to make me stray from the facts. This is a quality machine. It's not for everyone. It is a high end saw. The price reflects the quality but quality fits the price. 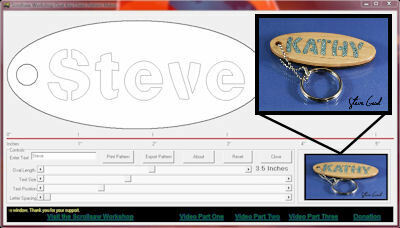 Visit Seyco.com for the best customer care and quality products in the scroll saw industry. 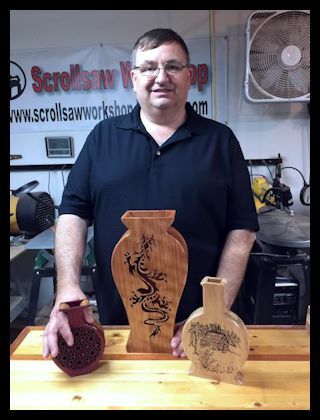 The scroll saw Specialist.